We all know that moment when you just want to relax and watch a movie. We also know that finding the right one can sometimes be difficult, given all the options available out there. Whether you are alone and wish to enjoy a quiet evening, or you want to spend a nice Sunday with your friends, check out the selection we made below and take your pick. All that’s left is making the popcorn and enjoying some quality time with a great movie. If you’re looking for an action-packed movie featuring great performances from high rated actors, then you’re in for a treat. Man On Fire casts Denzel Washington as the bodyguard of a little girl (Dakota Fanning) who is kidnapped. Although the “hero must save the day” plot might seem like the typical Hollywood recipe for a movie, the writing, cinematography and overall amazing style make this one a must-watch. Given it’s an action film with many intense scenes, it is not necessarily suitable for children. However, it can be the perfect choice for a night in if you just want to relax with some friends. We all remember the classic science fiction franchise originally written and directed by Robert Zemeckis in the 1980’s. The movies brought to life the adventures of the beloved characters Marty McFly and Emmett “Doc” Brown in solving the mysteries of time-traveling. If you’re a true fan or you feel like having a weekend-long Back to the Future marathon, then this is a great alternative for you. This Blu-ray edition brings together the original trilogy and the complete TV series. For the true fans out there, it also includes the animated series for the first time and a behind the scenes booklet. If you’re into French films and you haven’t seen Amelie yet, then this could definitely be your next choice. Directed by Jean-Pierre Jeunet, the story is a whimsical depiction of a Parisian life. Amelie (Audrey Tautou) is a shy waitress who decides that she is meant to change the lives of those around her for the better. With a mischievous personality, but a pure heart, she executes complex schemes that affect the lives of others. A story of self-discovery as well, Amelie finds her own happiness when she has the courage to start a romantic relationship with the man she fell in love with. This well-known thriller directed by Luc Besson could simply not be missing from our selection. Starring the famous French actor Jean Reno and a very young Natalie Portman, this is one movie you might want to watch again. The plot follows a top hitman, Léon, as he becomes the unwilling guardian of the 12-year-old Mathilda. Her parents are murdered by a rogue agent, and the little girl doesn’t just want protection, she wants revenge. Of course, given the plot, this is not one of those great movies for kids, but it’s definitely one to be watched and enjoyed on a night off. Good Will Hunting is another example of great performances combined with an evergreen story development. Life aspects such as overcoming traumas from the past, self-discovery and true friendship are portrayed, making this a movie to watch again and again. Will Hunting is a self-taught genius working as a janitor at MIT. He spends his free time drinking with friends and not pursuing any meaningful career, despite his great potential. That is until he meets a truly committed therapist. If you are looking for some inspiration in your life, then Sean Maguire’s speech given on the park bench can definitely be a starting point. The 1994 American drama The Shawshank Redemption tells the story of banker Andy Dufresne (Tim Robbins) who is sentenced to life in prison for the murder of his wife and her lover. Despite the brutalities he has to endure and a great number of years left, Andy finds a way to make his life better by handling taxes and, later on, laundering money for prison employees. After a significant amount of time, he manages to escape, also bringing down the operations created around him. This is a story about friendship and about hope being the only way to survive hardships in prison. If you are into neo-noir mystery films, then you can check out Ben Affleck’s directorial debut Gone Baby Gone. Well received by critics, it includes very good performances of actors such as Casey Affleck, Michelle Monaghan, Morgan Freeman and Ed Harris. The movie follows a kidnapping story that goes under investigation only to reveal there’s more to it than it seems. Little Amanda goes missing and her mother pleas on national television for her return. But this story has many underlying ramifications, including drug lords, debts, lies and parenting issues. Available in Blu-ray format, this crime and mystery filled drama is definitely worth watching. Even if you’ve seen it or not, Fight Club must make it to any movie recommendation selection. The 1999 drama starring Edward Norton and Brad Pitt is also available in Blu-ray format. This action-packed treat is the choice to make if you’re into psychological films. It’s definitely not part of the ‘nice movies for tweens’ category, but remains a great portrayal of our society, that becomes even more real as time goes by. If you want to enjoy a great evening with a movie that leaves a mark and has you thinking, then give Fight Club a chance and have your mind bent. Who doesn’t remember Rain Man and the great performances of Dustin Hoffman and Tom Cruise, the two brothers who come to terms with each other? A powerful story about family bonds and money, which also tackles issues on treating persons with disabilities, Rain Man remains a touching and eye-opening film to this day. Charlie is a great portrayal of a player who needs money. He sees an opportunity in getting his autistic brother out of the asylum where he’s institutionalized, apparently to go on a trip. Little does he know that lessons of life and brotherly love are going to be the end result. For those of you who are into the crime genre, we added Goodfellas to our selection. This is one of those movies that manage to change the way we look at things, by bringing forward the reality of organized crime. Directed by Martin Scorsese, we see the stories of Henry Hill (Ray Liotta), Jimmy the Gent (Robert De Niro) and Tommy DeVito (Joe Pesci) develop. The plot shows how the group becomes intoxicated with the glamour of gangsterism, only to be eventually destroyed by it. Available in Blu-ray format, the 4k resolution gives it a documentary feel, adding the missing touch for a great experience. Most of us are declared fans of movies and TV series, whether we talk about comedies, crimes, documentaries, romances, horrors, and more. We have meticulously developed our tastes for the cinematography throughout the years until we became fine connoisseurs of the seventh art. However, most of the movies running in cinemas lately may not seem like Hollywood’s best, especially for those who are not into commercial movies with glamorous stars and little to no action. On the other hand, our late jobs and grown-up responsibilities could easily trigger a sedentary behavior during the weekends and after work hours, so that we won’t find the necessary time or mood to go through countless movie selections until picking one that might seem interesting. If you want to watch some of the coolest movies without spending too much time in the picking process, we hope that the following article will provide you with enough clues and ways on how to choose a good one. Whether is for a movie marathon or a simple night in with your beloved one or a good ol’ fashioned sleepover with your best friend, we got you covered. Since there are countless options of amazing movies, picking just one to satisfy you for the night could prove a time-spending process. Luckily for you, we have come up with a list of tips on how to make to sure you will finally going to watch one of the coolest movies in the world, regardless of the genre you prefer. If you don’t know how to pick your following movie, online ratings coming from reputed publications in the field could prove a good indicator regarding the overall cinematographic experience you will have. From script to scenes, actors, decors, and dialogue, all these are marked by viewers so that the movie will receive a final score. Online publications like IMDB and Rotten Tomatoes are probably the most popular websites in which you can check out the latest details on a released movie, read all about it, or guide you through a synopsis that will you whether or not that movie is worth seeing. Obviously, tastes should not be discussed but most viewers agree on some of the best movies to watch. Thus, we suggest going through some of the best movies reviews and, based on what others had to say about the subject, think about the next DVD or cinema ticket available for sale. 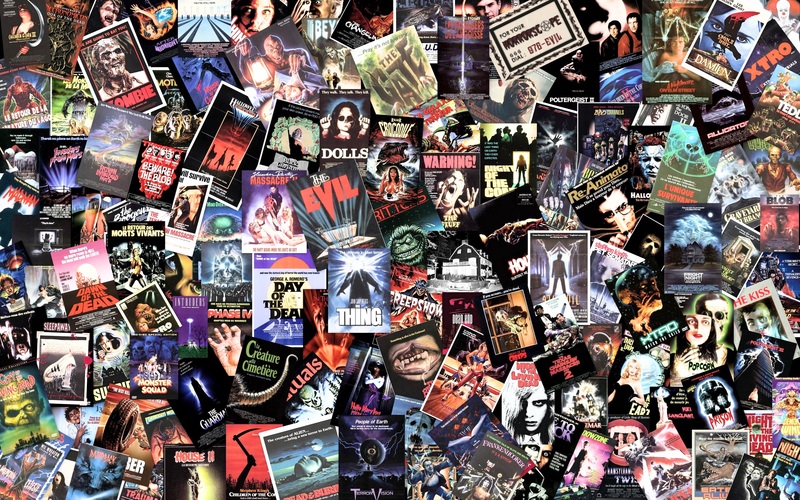 If you are interested in a certain movie genre, your selection process narrowed down massively as you will only search for those cool movies to watch within your genre preferences. However, we do suggest keeping an open mind and not be reluctant about movies outside your sphere of interest or perception. Just like books, we don’t consider there is such thing as a bad movie (OK, maybe with some exceptions), and each movie will teach you something (at least will serve as a negative example). We suggest going outside your comfort zone and avoid stigmatizing non-Hollywood productions because you will be surprised at how rich and vast the world filmography is. From UK, France, and Italy to Spain, even Bollywood and Asian movies have their masterpieces that shouldn’t be ignored. If you are interested in easy movies for family or cool movies for kids there is a wide selection each year with enchanting stories outside the Hollywood sphere. Obviously, the ones made by famous animation studios like Pixar or Disney will always seem more appealing to the little ones, but keep an open eye for foreign productions which can enhance your child’s field of knowledge and increase its imagination. Another good indicator that a movie is worth seeing is to watch out for film nominations on different festivals and awards. The Oscars, BAFTA Awards, and the International Cannes Film Festival are some of the most prestigious and world-known institutions that acknowledge the best movies of the moment and award their winners accordingly. Here too you should step aside from the flashy Hollywood productions and search for less-popular categories like the Un Certain Regard Cannes Award that praise originality and creativity, as well as the director’s own vision and delicate subjects approached. Each important film festival or movie award ceremony has a similar category for independent, visionary directors who bring original movies and break barriers, approach exciting, scandalous subjects from unique perspectives or develop mind-blowing characters closely resembling real-life anti-heroes. Of course, if you already went through countless movies you may have developed your own tastes, and even have favorite actors and directors. And while actors may take in different parts to help them develop themselves on multiple levels, the best part about good directors is that you can easily see the unique signature, the person’s own style and vision, regardless of the subject approached, the film’s budget, or the actors playing their parts. Directors like Quentin Tarantino and Woody Allen each have their own directing patterns and like to make cameos or play full-part roles in their own movies. Their twisted version of reality seeks to find the mind’s closest parts and exploit them to create a unique, distorted universe. For Allen, it is the constant seeking of a sick form of love, in the most scandalous possible ways. He approaches love from different angles, playing with love triangles, tragedies, lust, and despair. None of his characters are flat or depicted as good or bad. Each character develops in its own, twisted way, so there aren’t really any heroes or happy endings. Another signature of the director is the obsessive soundtrack repeating excessively throughout the movie to enhance the visual experience, create drama, and climax with the characters’ life experiences. On the other hand, Tarantino only likes to play small roles or cameos in his own movies, and also makes use of powerful songs to depict the situation of his characters and the dramas they are going through. He is all about revenge, violence, blood, and regaining justice, but not into the classic western way, yet with clearly-studied individuals. Both Allen and Tarantino won the appreciation of the world and were awarded cinematography’s most prestigious prizes, the Oscars.